A highlight of the year was the strategies developed to increase community engaged research. The key feature of community engaged research is a high level of community decision-making about the purpose, design, conduct and use of research. The Institute expanded its Community Fellows Program which brings members of community organisations into the University to develop research skills, while assisting scholars to understand the context in which their research may be used. 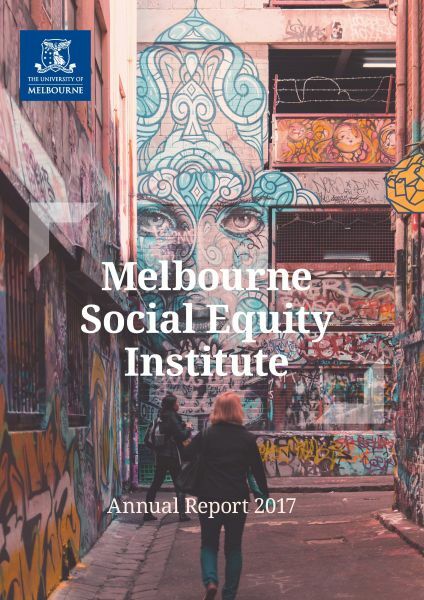 In September, the Melbourne Social Equity Institute collaborated with the Institute for Research into Superdiversity (IRiS) at the University of Birmingham to run a conference on research co-production with communities. The Institute also facilitated a Community of Practice which brought together those interested in community engaged research to talk about their work and swap ideas about methodologies and overcoming challenges. In 2017, the Melbourne Social Equity Institute also launched its Interdisciplinary PhD Program in Refugee and Forced Migration Studies. Co-ordinated by Dr Karen Block, the program addresses the contemporary issues of asylum-seeking and forced migration across the areas of law, health, culture, education, creative arts, history, social policy, housing, social sustainability, community wellbeing and mental health. It includes research training informed by a range of disciplinary, theoretical and philosophical perspectives. Ethics and research methods are key components of the program, as are approaches for communicating research to diverse audiences across and beyond the academy.